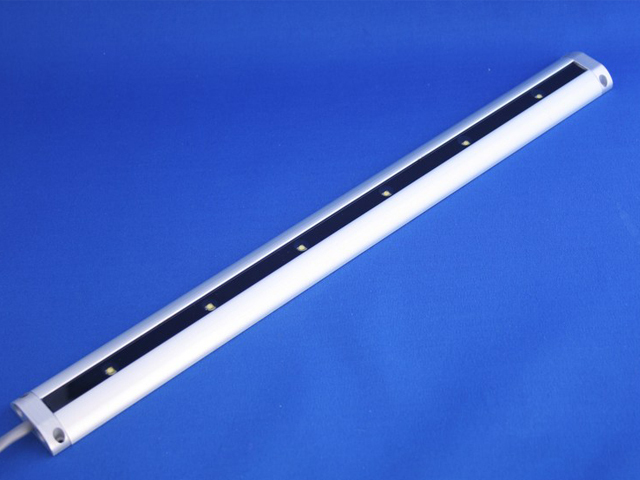 The Orion range is excellent for glass cabinet and kitchen cabinet lighting, giving a wide 120 degree spread of light from a slim 10mm height profile this unit easily out performs T5 type Fluorescent fittings. The Orion can be used as an up lighter above wall mounted cabinets, coving and picture rails. The on-board driver and thermal feedback system ensure long life and ease of installation. Orion can be supplied in a variety of single LED colours as well as colour changing RGB and is also available as an IP68 rated unit. Requires a DC input between 12-30v. For More technical Data please refer to the ORION specification sheet.